I feel a bit rueful about my comparative neglect of the plants who crowd into midsummer, when there's so many kinds that we working folk are lucky even to notice them, never mind write about them. It's somehow part of the tantalizingly sweet character of, say, Grass Vetchling, that we'll nearly always miss out on it. Like other butterburs, it is dioecious and there is an odd discrepancy between the distribution of the male and female plants. Only the male plant is known here. Likewise our common native butterbur: the male plant is found throughout England but the female plant is seen only in the north. I don't fully understand how such plants get distributed outside their heartland: mainly by human activity I suppose, plus I imagine they regenerate tenaciously from small fragments. 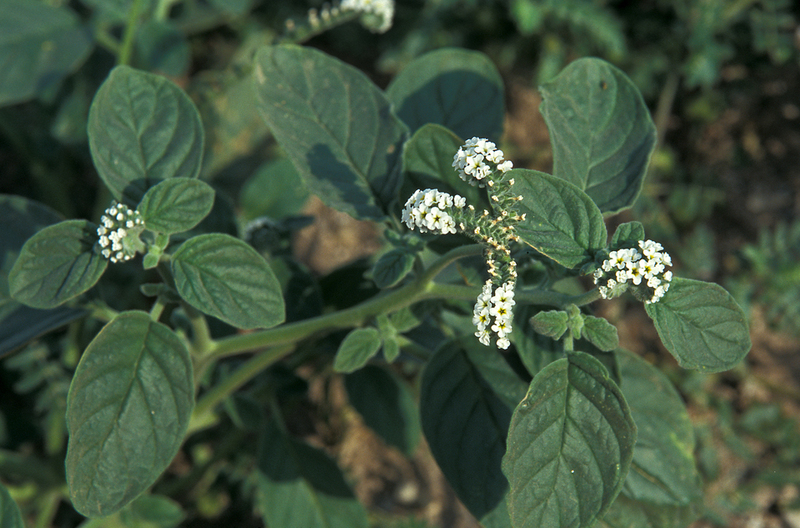 The other curious thing about the plant, aside from its own slight charms (which include a vanilla-like scent), is the name "heliotrope" which means growth or movement towards the sun. The name was originally applied to two common Mediterranean plants, both of which may be said to "follow the sun" in their own ways. 1. 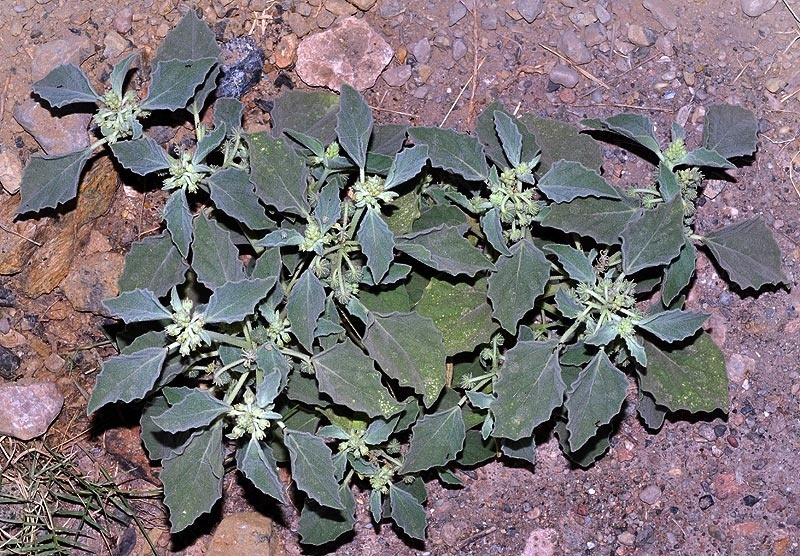 Heliotropium europaeum. It's part of the borage family. The inflorescence is bowed over, with the small white flowers all developing along the upperside (a helicoid cyme, for any botanists out there). Culpeper called it the Greater Turnsole. According to the Spanish Wikipedia entry (https://es.wikipedia.org/wiki/Chrozophora_tinctoria) these two plants were assumed to be related because of their grey-hairy appearance from a distance. I'm not aware of anything especially heliotropic about Petasites fragrans, which is happy to bloom stolidly in shade. Most likely the transference of the pretty name is down to a superficial visual resemblance to one of the above species. "Heliotrope" is too good a word to resist. Among many other things it's the name of a kind of decorative stone (a bloodstone), classically dark green with mysterious flecks of red; the stone's name is owed to certain ancient theories about how the sun gets into the stone and produces these flecks. Heliotrope is also the name for a vivid purple colour; this use is fairly modern (1882) and it refers to the intense colour of the garden heliotrope (Heliotropium arborescens, from Peru). The derelict roof-line of the Royal Pier Hotel in Weston-Super-Mare (plus Brean Down in the distance). "species character of animal life"